Our specialty is rat and rodent control in the Dallas and Fort Worth, Texas, area. 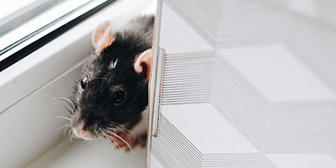 We are well versed in how rats behave and live, and it is because of our education and experience that we are able to offer you high quality solutions to rid your home or business permanently of these pests. Servicing Dallas and Fort Worth, Legacy Rodent Control is the experienced professional you need for fast and efficient rodent and rat removal. Call us first when you notice signs of rodent infestation. We know that dealing with rats and rodents is frustrating, overwhelming, and scary, and we are here to provide a quick and thorough process of rat and rodent removal in Dallas-Fort Worth. Rats enter your home through small holes and cracks, and they have the ability to squeeze their body into spaces the size of a quarter. Once they have gained entry into your home or business, they begin to nest and breed inside your attic, floors, and walls, damaging your property and putting your health at risk. Call Legacy Rodent Control today for expert rat and rodent control in Dallas-Fort Worth! Legacy Rodent Control will always begin the trapping process as soon as possible with either live cages, instant kill snap traps or one-way valves. The reason why is to ensure the rodents do not cause any further damages to any wires, insulation, duct work or drywall. When Legacy Rodent Control sets the traps, the technicians are on call 24/7 and will come back every 2-3 days to check, bait or rearrange any traps that need attention. Once the traps are set and baited it's imperative to close up all potential entry points on the roof line and ground level. With rats being food source dependent, they usually will stick to their main food source. This is why trapping and exclusion work needs to be done at the same time, so the rats are drawn to our bait source. 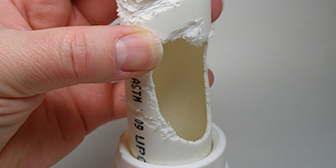 Legacy Rodent Control does not use any foam or wood products when closing up entry points. With our industry leading 5-year guarantee, it crucial to always seal entry points with a metal-based product that we paint exactly to match the exterior soffits. That way it blends right into the structure and can go unnoticed to the untrained eye. After Legacy Rodent Control has eradicated the rodent issue, it's important to treat the entire attic space with our three-phase fogging system. Rodents leave not only a lot of bacteria, but a pheromone scent that will attract another colony of the animal to that attic space. In the most severe cases, our professional Wildlife Technician will recommend changing out the attic insulation. This happens when the attic space has a strong urine odor, meaning the pheromone scent is too strong. We will thoroughly inspect your property, identifying and sealing off potential points of entry. We will look for evidence of infestation and provide you a detailed treatment plan that guarantees the total removal of rats- as well as prevent them from ever returning. We guarantee our rat removal service for 2 years. • An adult rat squeezes into your home through a hole as small as the size of a quarter. • Because rats are awake and active at night, you may hear evidence of their activity like scratching or scurrying in the middle of the night. • Rats have strong teeth that allow them to chew through glass, cinderblock, electrical wire, aluminum, and fiberglass insulation. • Rats have 4 to 6 litters per year, with 6 to 12 babies per litter. That means one female rat can have 24 to 72 babies in one year! Subscribe to receive tricks and tips to keep your home/business safe.